All aboard! Winter is approaching in West Palm Beach. There may be no sign of snow, but that doesn’t mean we’ll be short on holiday magic. 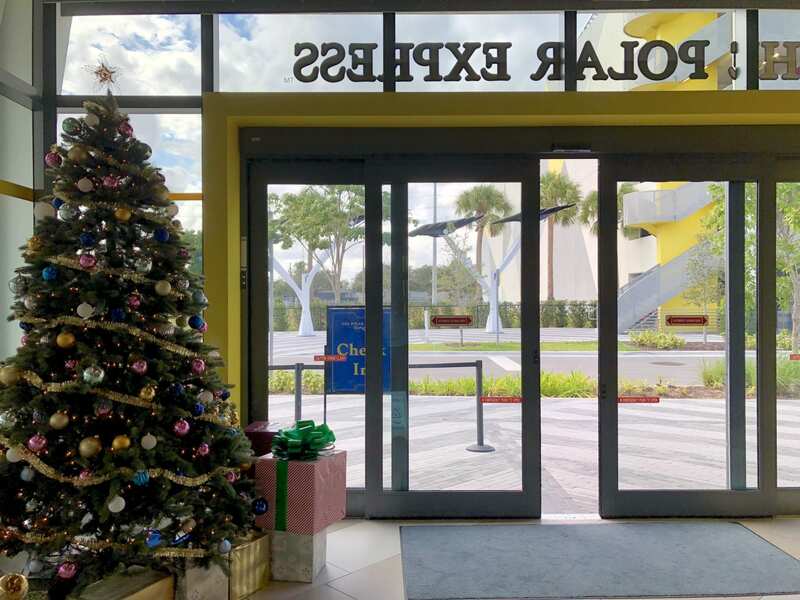 Between Sandi, the 700-ton sand tree, and now the arrival of the Brightline Polar Express experience, this Christmas season is shaping up to be perfectly merry and bright. 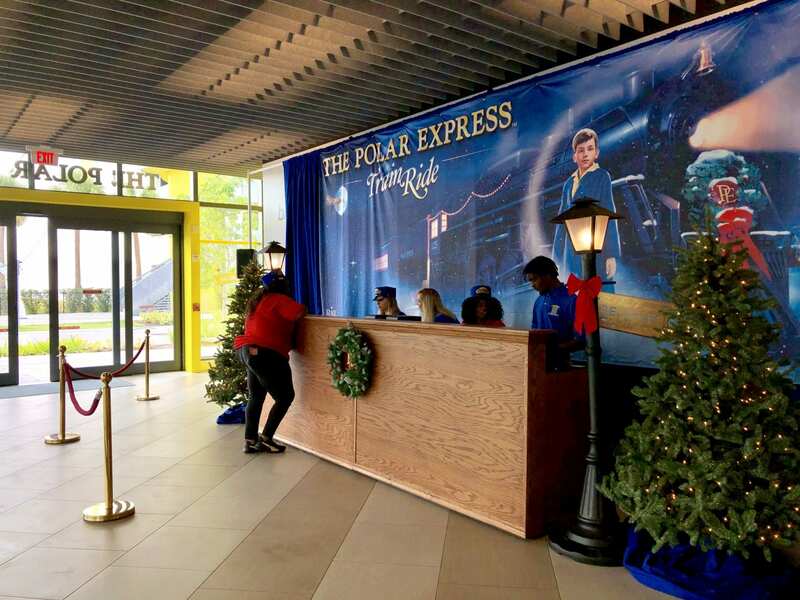 Beginning in early December, the halls of all Brightline trains and stations will be decked in full seasonal regalia to welcome the arrival of Brightline’s Polar Express train ride, one of the most anticipated events of the upcoming season. 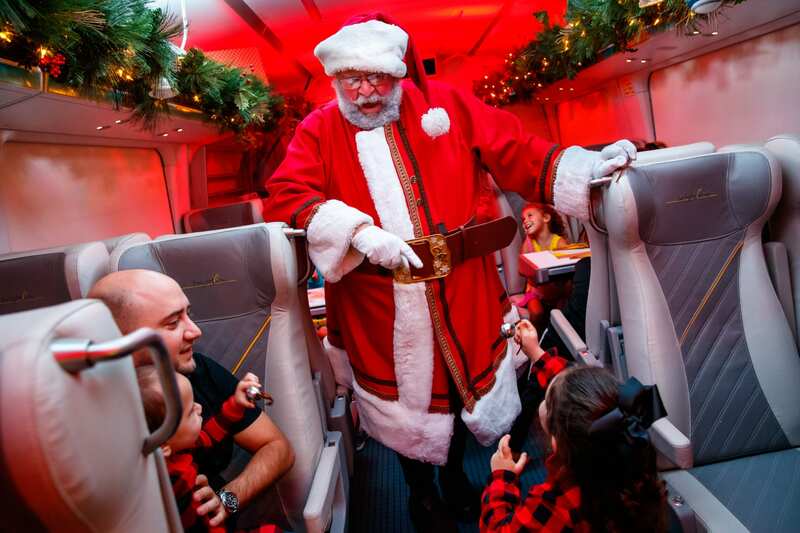 On the 62-minute Polar Express journey, passengers can expect to meet Santa and his helpers and relive the enchanting wintertime story with the help of special performances, songs, holiday surprises, hot chocolate, cookies, and more. The ride starts and ends at the Fort Lauderdale station. I’d have to agree: any party where passengers are encouraged to dress in their coziest holiday pajamas is a yes in my book! Comfy and festive, attendees will board the train to enjoy dancing chefs serving hot chocolate and treats while reading along with the classic children’s story by Chris Van Allsburg. 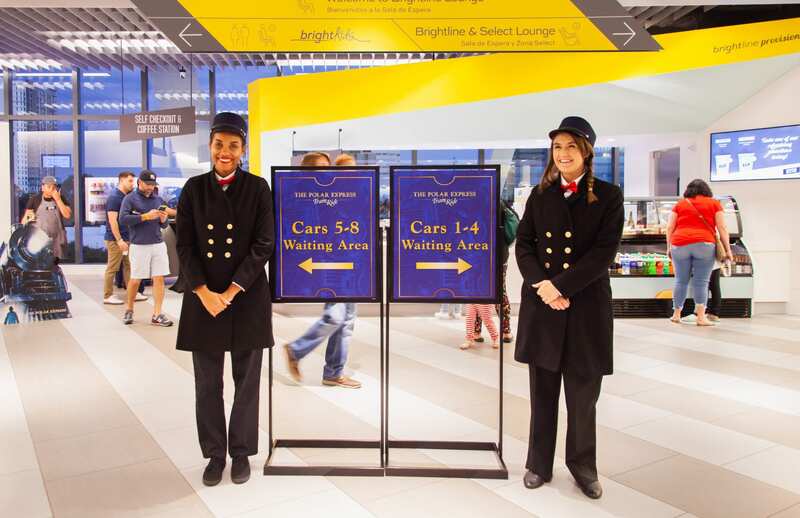 In addition, Santa and his helpers will greet passengers and distribute a silver sleigh bell to each one—the very first gift of Christmas. The Polar Express train ride will be boarding passengers on select dates from November 11, 2018, through January 1, 2019. Performances are scheduled for 10 a.m., 12 p.m., 2 p.m., 4 p.m., 6 p.m., and 8 p.m. Prices start at $55 per adult and $50 per child (ages 2-11). Tickets can be purchased through ftlthepolarexpressride.com. Can’t wait to get the holiday season started? Save $10 off any Polar Express train ride ticket on November 11, 17, or 18 using promo code EARLYBIRD. Note: you’ll need to book Polar Express train ride tickets on the above Fort Lauderdale Polar Express website. However, train transportation to and from the Fort Lauderdale station, if needed, will need to be booked through the Brightline website. I’ve included a discount code below, but check my regularly updated Brightline discount post for more ways to save. Not based in Fort Lauderdale? 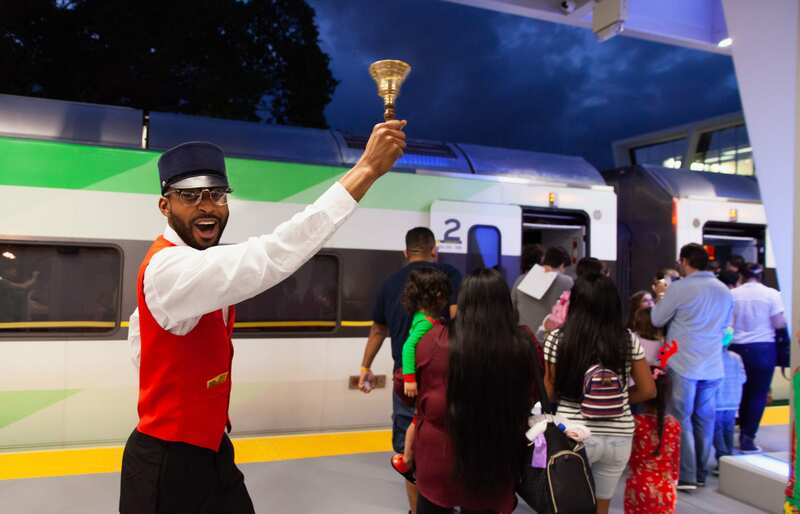 You can take a “sleigh ride” to the Polar Express train from the Miami or West Palm Beach stations. 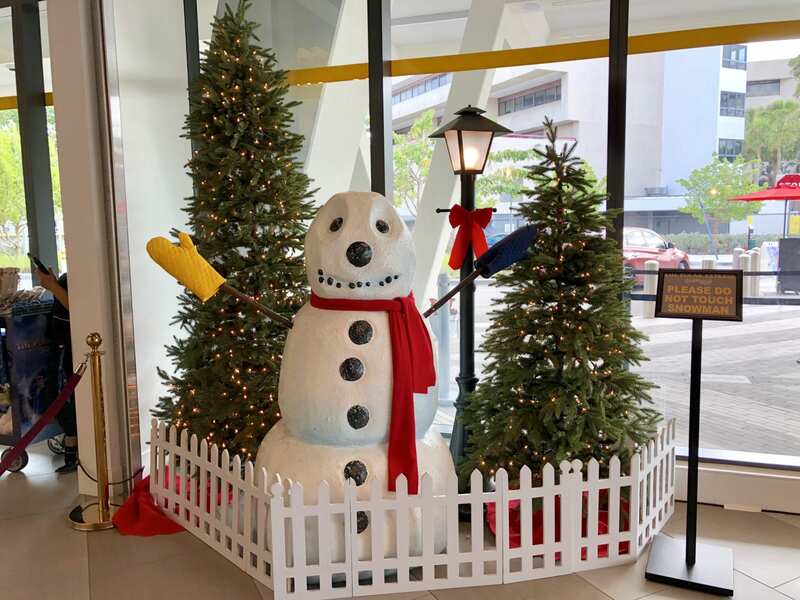 While the Polar Express train experience begins and ends at the Fort Lauderdale Brightline station, locals from Miami and West Palm Beach can still participate in the holiday cheer by taking a 30-minute ride from either station to Fort Lauderdale. Use promo code BLPOLAR to receive a 25% discount on Smart-class rides to and from the Fort Lauderdale station. Children aged 12 and under ride complimentary! 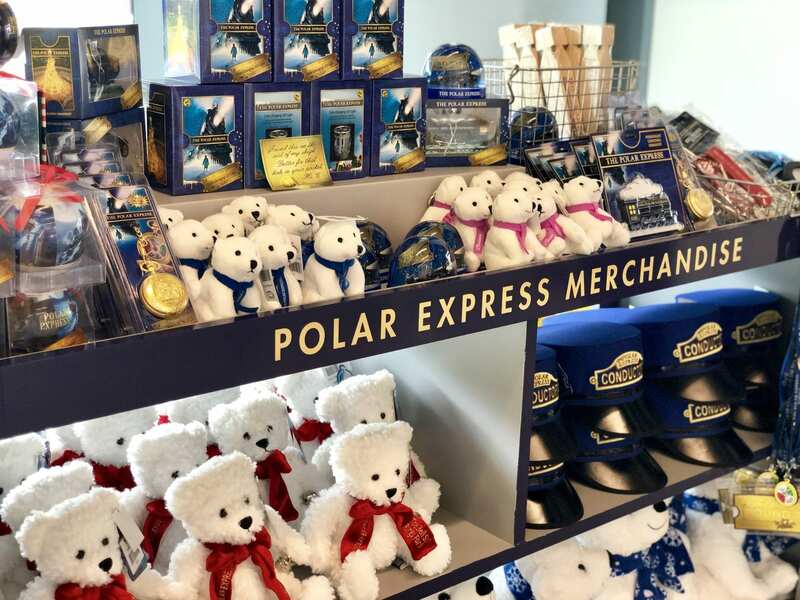 Plus, guests who book their Brightline train tickets to Fort Lauderdale by November 10 will also receive a promotion code for 25% off Polar Express merchandise, which will be available for purchase in Brightline’s train stations during the event. They’ll also receive complimentary parking at the Miami or West Palm Beach stations. The Christmas joy doesn’t have to end once you’ve experienced the Brightline Polar Express train ride. 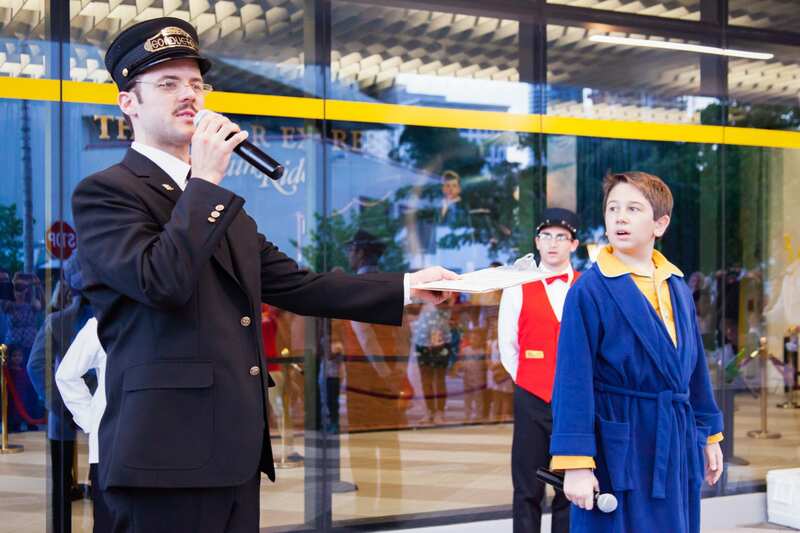 This season, Brightline provides easy access to holiday happenings all across South Florida. 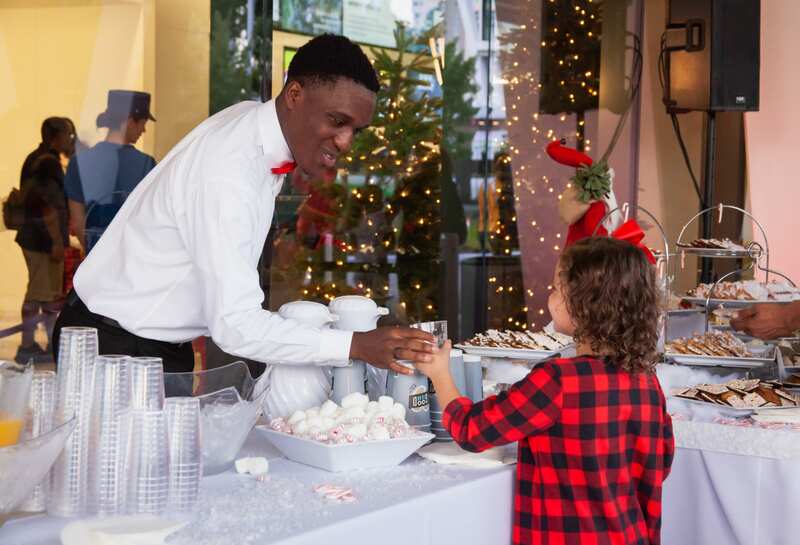 Between holiday events, avoid the holiday traffic and get your Christmas shopping done at CityPlace in West Palm Beach, Las Olas Boulevard in Fort Lauderdale, or Brickell City Centre in Miami—all of which are located within walking distance of the Brightline stations or easily accessible via free public transportation. Next post $100 to Celebrate the 100th Anniversary of Ripley’s Believe It or Not!